We needed to setup Nagios to utilize our internet service providers SMTP Email server for notification emails. The biggest problem was that the ISP's outgoing email server requires authentication. 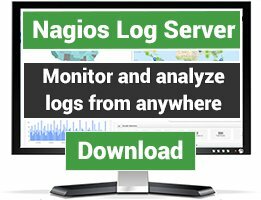 Nagios setup with SMTP outgoing authentications. These are instructions and examples on how we got this setup working. 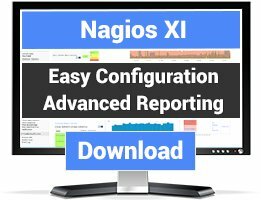 I hope this helps others in the Nagios community. This process utilizes a perl script called "sendEmail". 2) Extract the file and copy the sendEmail into /usr/local/bin. 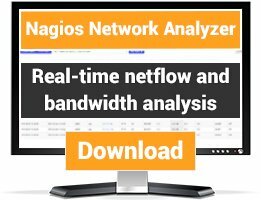 Now the setup and customization of Nagios. 1) Edit /usr/local/nagios/etc/resource.cfg - add (3) new entries. command_line /usr/bin/printf "%b" "***** Nagios *****nnNotification Type: $NOTIFICATIONTYPE$nHost: $HOSTNAME$nState: $HOSTSTATE$nAddress: $HOSTADDRESS$nInfo: $HOSTOUTPUT$nnDate/Time: $LONGDATETIME$n" | /usr/local/bin/sendEmail -s $USER7$ -xu $USER5$ -xp $USER6$ -t $CONTACTEMAIL$ -f $USER5$ -l /var/log/sendEmail -u "** $NOTIFICATIONTYPE$ Host Alert: $HOSTNAME$ is $HOSTSTATE$ **" -m "***** Nagios *****nnNotification Type: $NOTIFICATIONTYPE$nHost: $HOSTNAME$nState: $HOSTSTATE$nAddress: $HOSTADDRESS$nInfo: $HOSTOUTPUT$nnDate/Time: $LONGDATETIME$n"
command_line /usr/bin/printf "%b" "***** Nagios *****nnNotification Type: $NOTIFICATIONTYPE$nnService: $SERVICEDESC$nHost: $HOSTALIAS$nAddress: $HOSTADDRESS$nState: $SERVICESTATE$nnDate/Time: $LONGDATETIME$nnAdditional Info:nn$SERVICEOUTPUT$" | /usr/local/bin/sendEmail -s $USER7$ -xu $USER5$ -xp $USER6$ -t $CONTACTEMAIL$ -f $USER5$ -l /var/log/sendEmail -u "** $NOTIFICATIONTYPE$ Service Alert: $HOSTALIAS$/$SERVICEDESC$ is $SERVICESTATE$ **" -m "***** Nagios *****nnNotification Type: $NOTIFICATIONTYPE$nnService: $SERVICEDESC$nHost: $HOSTALIAS$nAddress: $HOSTADDRESS$nState: $SERVICESTATE$nnDate/Time: $LONGDATETIME$nnAdditional Info:nn$SERVICEOUTPUT$"
Go into Nagios and send an alert and check the /var/log/sendEmail log file. It should say "Email was sent successfully". Thats it. Your done and now using your ISP's email server with authentication. Thanks for the guide - very clear and simple to setup. Since we're using unauthenticated system (lock down to IP addr), we simply deleted the -xn and -xp parameters which worked fine. We also had to replace the 'n' and 'nn' bits with \n, as the site appears to of striped that out when you pasted it. Where should i download this add-on? First of all thank you for great script and for detailed installation instructions! I got this error with latest Net::SSLeay (1.48) and IO::Socket::SSL (1.76) installed. To fix the error I downgraded IO::Socket::SSL to 1.68 version. After executing commands above TLS finally start working. I hope this helps to someone who will install sendEmail script after me! command_line /usr/local/bin/sendEmail -o tls=yes -s $USER7$ -xu $USER5$ -xp $USER6$ -t $CONTACTEMAIL$ -f $USER5$ -l /var/log/sendEmail -u "** $NOTIFICATIONTYPE$ Host Alert: $HOSTNAME$ is $HOSTSTATE$ **" -m "***** Nagios *****\n\nNotification Type: $NOTIFICATIONTYPE$\nHost: $HOSTNAME$\nState: $HOSTSTATE$\nAddress: $HOSTADDRESS$\nInfo: $HOSTOUTPUT$\n\nDate/Time: $LONGDATETIME$\n"
command_line /usr/local/bin/sendEmail -o tls=yes -s $USER7$ -xu $USER5$ -xp $USER6$ -t $CONTACTEMAIL$ -f $USER5$ -l /var/log/sendEmail -u "** $NOTIFICATIONTYPE$ Service Alert: $HOSTALIAS$/$SERVICEDESC$ is $SERVICESTATE$ **" -m "***** Nagios *****\n\nNotification Type: $NOTIFICATIONTYPE$\n\nService: $SERVICEDESC$\nHost: $HOSTALIAS$\nAddress: $HOSTADDRESS$\nState: $SERVICESTATE$\n\nDate/Time: $LONGDATETIME$\n\nAdditional Info:\n\n$SERVICEOUTPUT$"